There's no more popular saying in the world of motorsport than "racing improves the breed". Although in most cases, most racing series require strict rules on technology to keep races competitive and costs down, that's rarely the case. The one place where automakers still push the limits of technology? The 24 Hours of Le Mans, which this year will feature three machines from Toyota, Audi and Porsche that offer radically different paths to cars of the future — hybrid, all-wheel-drive ones at that. The favorite comes from Audi; they've won 12 times at Le Mans since 2000, and in one of the two races it didn't win the Audi machinery still won under the Bentley brand. The R18 e-tron quattro the company drove through the streets of western France earlier this week features the latest changes to the winning strategy, with a 4-liter, turbocharged V-6 diesel engine paired with a flywheel hybrid system for maximum fuel efficiency. That flywheel powers the front wheels, and a second system recaptures energy from the heat of the exhaust. 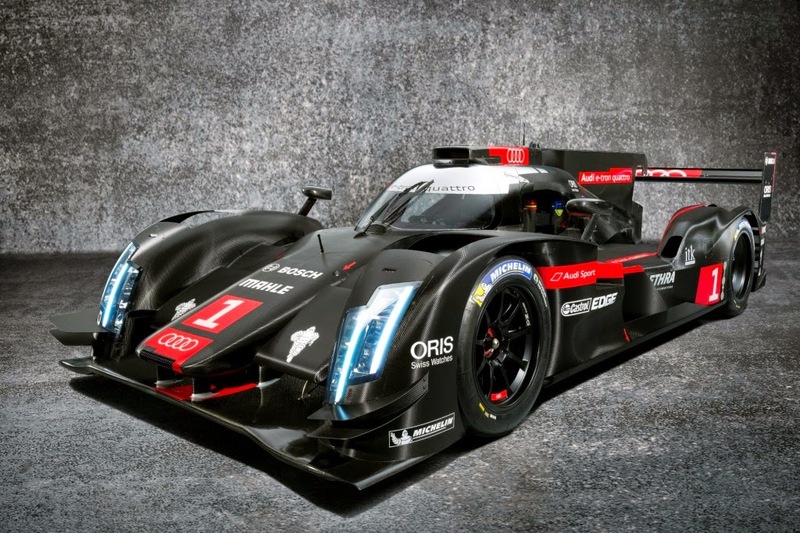 Toyota has been attempting to challenge Audi in endurance racing for a few years, making some progress and winning a couple of races, but never breaking through the German automaker's dominace. 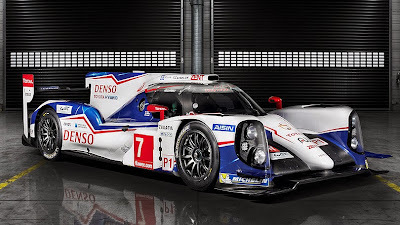 For this year's TS040 model, Toyota revised its entire system, adding a front-wheel-drive to the 3.7-liter V-8 supercapacitor powered hybrid from last year. 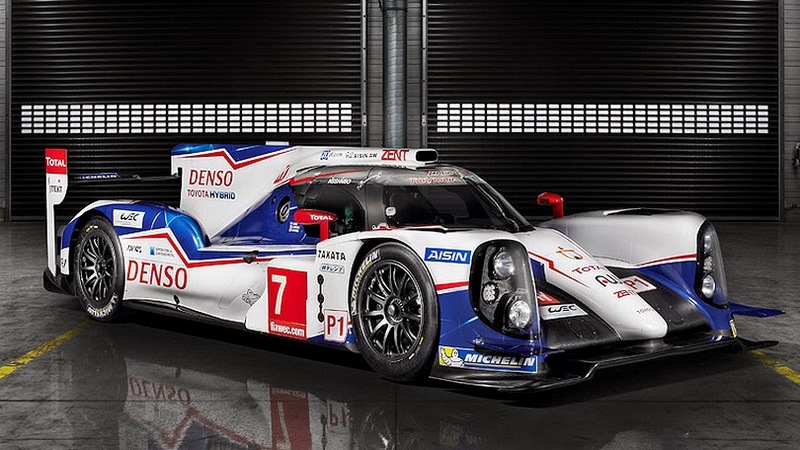 In total, Toyota says the setup can generate nearly 1,000 hp, while using 25 percent less fuel than last year's vehicles as required by Le Mans rules for 2014. The most interesting new model comes from Porsche, which hasn't raced in the top class at Le Mans for 16 years. 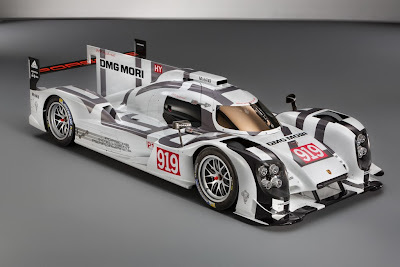 The 919 Hybrid combines a battery pack and Formula 1-style hybrid energy system similar to what Porsche uses in the 918 supercar with a turbocharged V-4 engine — a configuration chosen to save weight and space. Porsche executives call the 919 the most complicated machine the company has ever built, and despite living under the same Volkswagen corporate roof as Audi, there's no apparent sharing between teams or slack in competition.